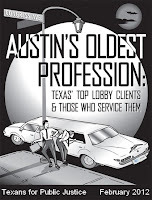 During 2011, 2,908 clients paid 1,836 lobbyists up to $345 million to influence government decision making, according to TPJ’s biennial analysis of Texas lobby spending. Led by Energy Future Holdings Corp., Energy and Natural Resources clients spent more on lobbying than any other industry. Who are the biggest lobbyists and lobby clients? 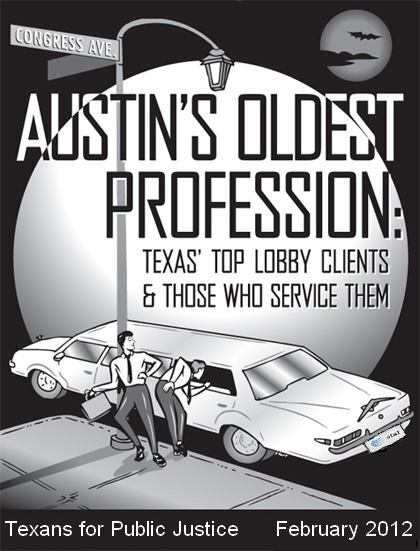 Find out in Austin’s Oldest Profession.